Blue Origin is an American privately-funded aerospace manufacturer and spaceflight services company set up by Amazon.com founder Jeff Bezos with its headquarters in Kent, Washington. The company is developing technologies to enable private human access to space with the goal to dramatically lower costs and increase reliability. Blue Origin is employing an incremental approach from suborbital to orbital flight, with each developmental step building on its prior work. 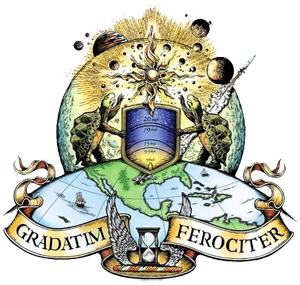 The company motto is "Gradatim Ferociter", Latin for "Step by Step, Ferociously". Blue Origin is developing a variety of technologies, with a focus on rocket-powered Vertical Takeoff and Vertical Landing vehicles for access to suborbital and orbital space. The company's name refers to the blue planet, Earth, as the point of origin. Blue Origin is an American privately-funded aerospace manufacturer and spaceflight services company set up by Amazon.com founder Jeff Bezos with its headquarters in Kent, Washington. The company is developing technologies to enable private human access to space with the goal to dramatically lower costs and increase reliability. Blue Origin is employing an incremental approach from suborbital to orbital flight, with each developmental step building on its prior work. 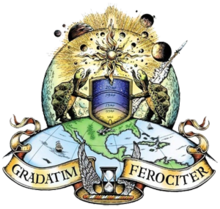 The company motto is "Gradatim Ferociter", Latin for "Step by Step, Ferociously". Blue Origin is developing a variety of technologies, with a focus on rocket-powered Vertical Takeoff and Vertical Landing (VTVL) vehicles for access to suborbital and orbital space. The company's name refers to the blue planet, Earth, as the point of origin. Initially focused on sub-orbital spaceflight, the company has built and flown a testbed of its New Shepard spacecraft design at their Culberson County, Texas facility. The first developmental test flight of the New Shepard was 29 April 2015. The uncrewed vehicle flew to its planned test altitude of more than 93.5 km (307,000 ft) and achieved a top speed of Mach 3 (2,284 mph; 3,675 km/h). Another flight was performed on 23 November 2015. The vehicle went just beyond 100 km (330,000 ft) altitude, and both the space capsule and its rocket booster successfully achieved a soft landing. On 22 January 2016 Blue Origin re-flew the same New Shepard booster that launched and landed vertically in November 2015, demonstrating reuse. This time, New Shepard reached an apogee of 333,582 feet (101.7 km) before both capsule and booster returned to Earth for recovery and reuse. On 2 April and 19 June 2016, the same New Shepard booster flew for its third and fourth flights, each time exceeding 330,000 feet in altitude, before returning for successful soft landings. The first manned test flights are planned to take place in 2017, with the start of commercial service in 2018. In 2014, Blue Origin moved into the orbital spaceflight technology business, as a rocket engine supplier for others. Blue Origin has a contractual agreement to build a new large rocket engine, the BE-4, for major US launch system operator United Launch Alliance (ULA). ULA is also considering the BE-3, Blue Origin's smaller rocket engine used on New Shepard, for use in a new second stage—the Advanced Cryogenic Evolved Stage (ACES)—which will become the primary upper stage for ULA's Vulcan orbital launch vehicle in the 2020s. The Vulcan is planned to begin orbital flights in 2019 with an existing Centaur upper stage, and is considering three engines from various manufacturers for the ACES stage which would begin flight in 2023. In September 2015, Blue Origin announced plans to manufacture and fly its orbital launch vehicle from the Florida Space Coast. The New Shepard reusable launch system was launched and landed at Blue Origin's West Texas Launch Site, on 23 January 2019, at 15:05 UTC (09:05 CST).